I enjoy how what we are being taught can be compared to real-life situations that our lecturers have been involved with. “I enjoy how what we are being taught can be compared to real-life situations that our lectures have been involved with. Also having guest speakers come in from different Property companies to give talks on specific subjects are really useful. “The course has included many trips, during first year we went to London and visited Canary Wharf, and we also visited a housing development site. During our second year we visited an industrial warehouse, and also went on a field trip to Hamburg, which was great fun – this was really useful from a planning and development perspective as Hamburg has had a lot of development all over the city which made the piece of coursework really interesting. “I worked at Jaguar Land Rover (JLR) for a year within the Corporate Real Estate team, where Town and Country Planning team fell, which managed all Planning matters over all UK JLR sites. I was given the opportunity to lead my own projects and manage consultants to submit application on JLR's behalf, and I also led my own projects without the work of consultants, where I have prepared and submitted many planning applications and gained planning approval on all of them. “What I have found most interesting is working within a corporate industry especially within Jaguar Land Rover, one of the UK's biggest employers. Being on a property placement within an automotive company has its perks as I have been here for the launch of the Jaguar F-PACE and the Evoque convertible. What skills have you gained during your placement? “I have gained an insight into a corporate industry which has given me experience in how to behave professionally. 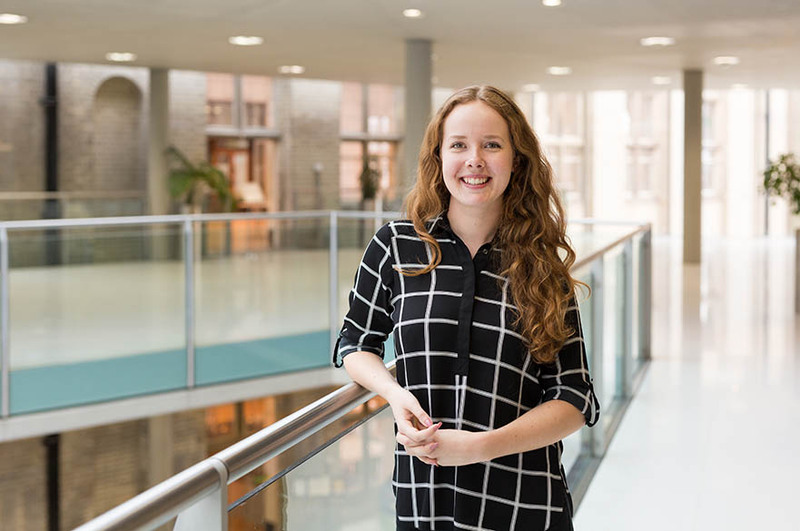 I have also been able to apply my knowledge that I learnt from the two years at university to my job role which has helped develop my knowledge after being able to apply it to the real world. “My biggest highlight working at Jaguar Land Rover was being involved in the project management and preparation of a major planning application to develop 70,000sqm within the green belt land which was extremely controversial. (And of course driving the cars...)"